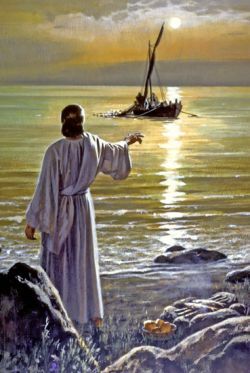 Even though Jesus was born in Bethlehem and died in Jerusalem, it was in Galilee that his ministry was forged, and an astonishing three-quarters of his activity recorded in the New Testament took place on, around, or within the sight of the Sea of Galilee. The life and teachings of Jesus gain meaning and resonance from the landscape and the social setting in which they emerged. Understanding their context enhances the understanding of the events that have shaped the Western civilization. Herod Antipas, son of Herod the Great, built the city as the capital of the Galilee in AD18, and dedicated the town to Tiberius, then emperor of Rome. 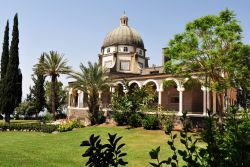 The traditional site of Jesus’s Sermon on the Mount is set in hilltop gardens, with a church and a superb view of the lake. 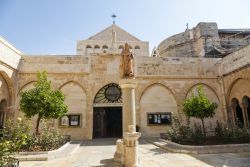 Two events in the life of Jesus are recalled in two churches here. One is Multiplication and a famous 5th century mosaic records the event. Crowds followed Jesus and evening came. The other even was the primacy of Peter. The beach and an attractively simple chapel recall the appearance of Jesus on the shore. 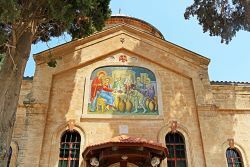 Jesus made this thriving Jewish town, now an archeological site, the center of his ministry. Today people come here to be baptized in the Jordan at Yardentin. When the wine ran out at a wedding feast, Jesus turned six stone jars full of water into superior wine. Here, according to the New Testament, an angel appeared to Mary to announce the birth of Jesus. 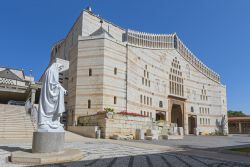 It was here he grew up (his so called “hidden years”) and he returned to Nazareth as a teacher.